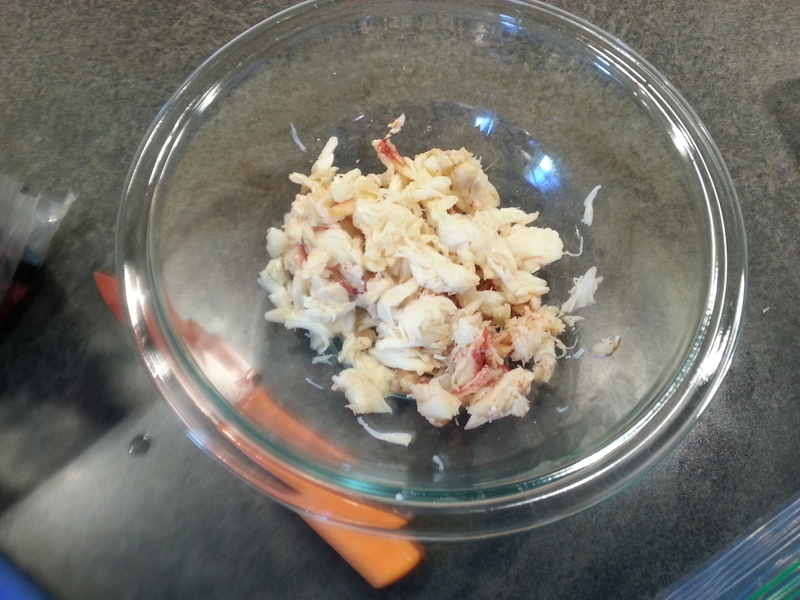 While whipping up that simple crab and pasta dish a few weeks ago, I realized that I was going to have a pretty significant amount of Dungeness left over. 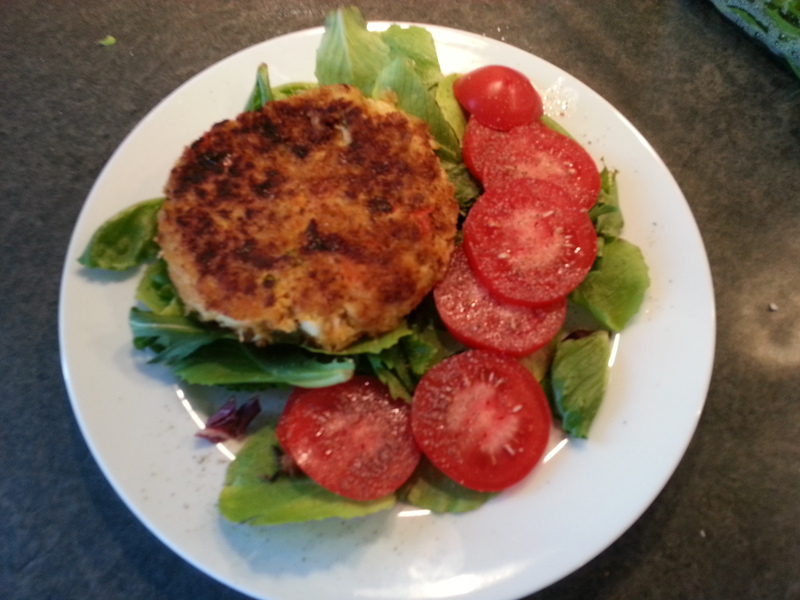 I whipped up the following crab cake recipe using the leftover crab, and some ingredients that I had lying around. 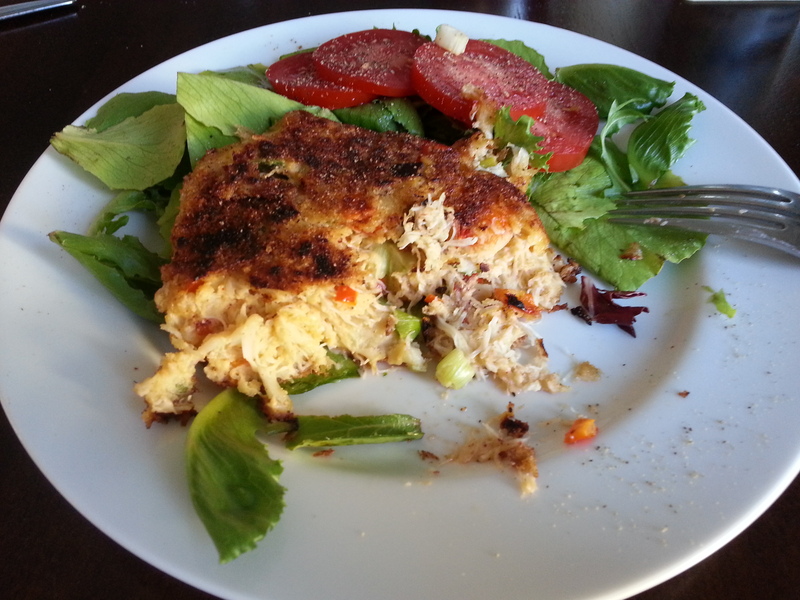 I hate crab cakes that have been thickened with crackers, mayo, too many random ingredients, or that are simply too small. So I tried to make these simple, flavorful and, well… big. Mix the listed ingredients in a bowl (go on – use your hands) and form two large cakes with the mixture. Coat the cakes in another 1/2 cup of panko bread crumbs. I use panko instead of regular bread crumbs as a personal preference (I like the lighter flavor and the crunchy texture)… but you could use whatever you want. 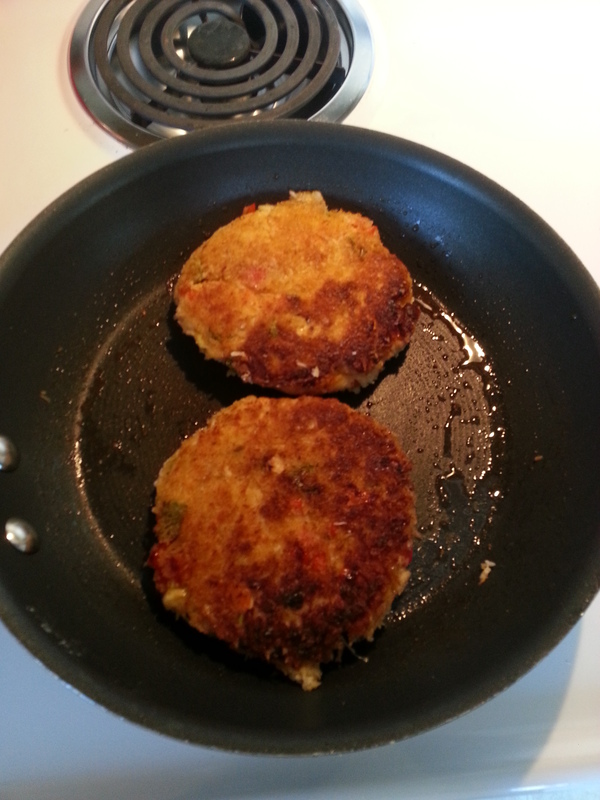 Fry the crab cakes in butter, about 4 minutes on each side, until golden brown. I served them on a bed of greens with some fresh ripe tomatoes. Previous Entry New C02 Tank for my keg!